----Chanel No. 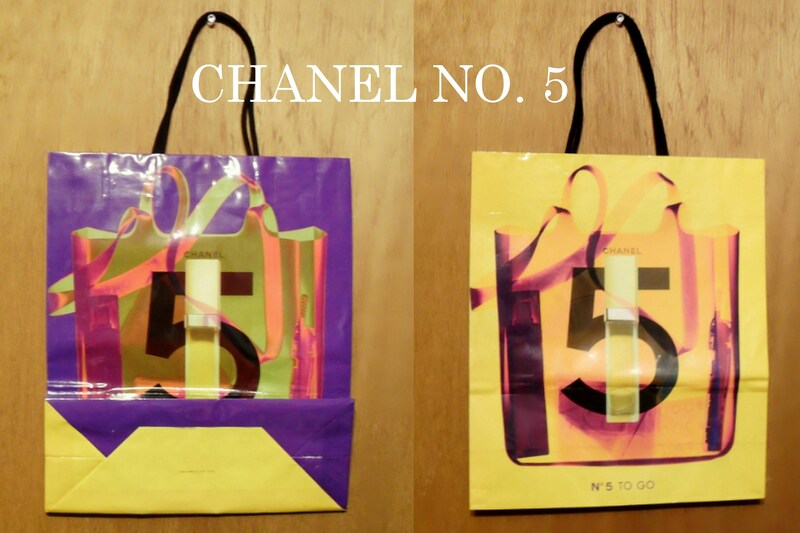 5 paper bag. The size of the bag is approximately 13" long x approximately 11" wide, not including handles. 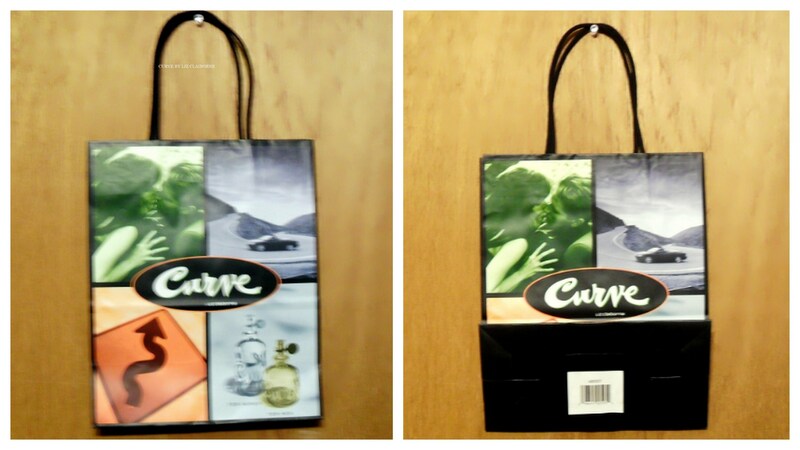 ---- Curve by Liz Claiborne paper bag from 1996. The size of the bag is approximately 10.75" long x approximately 8.75" wide, not including handles. 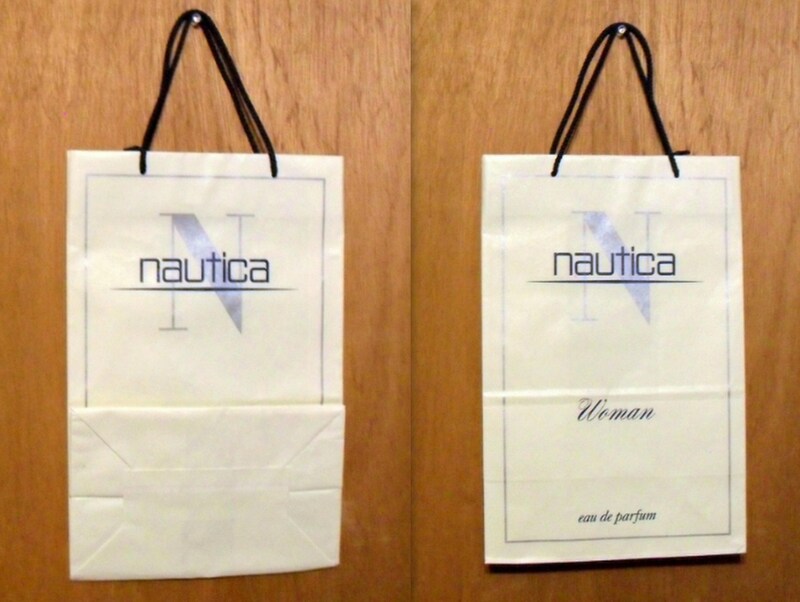 ----Nautica Woman by Nautica paper bag from 1997. The size of the bag is approximately 13.5" long x approximately 9" wide, not including handles. 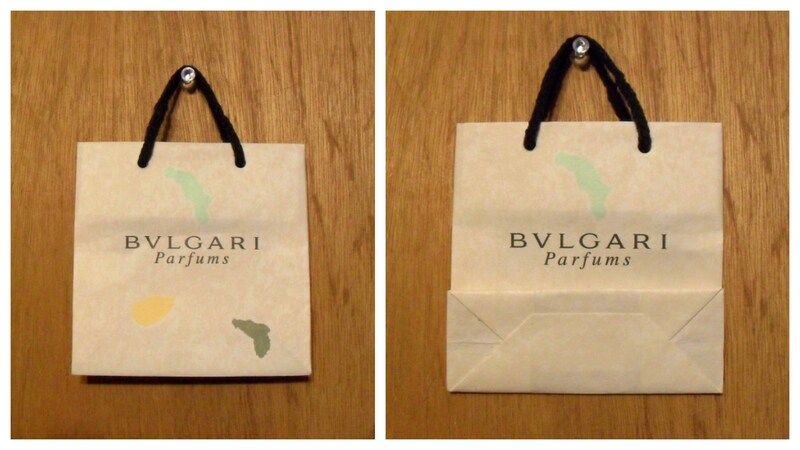 ----Petits et Mamans by Bvlgari paper bag from 1997. 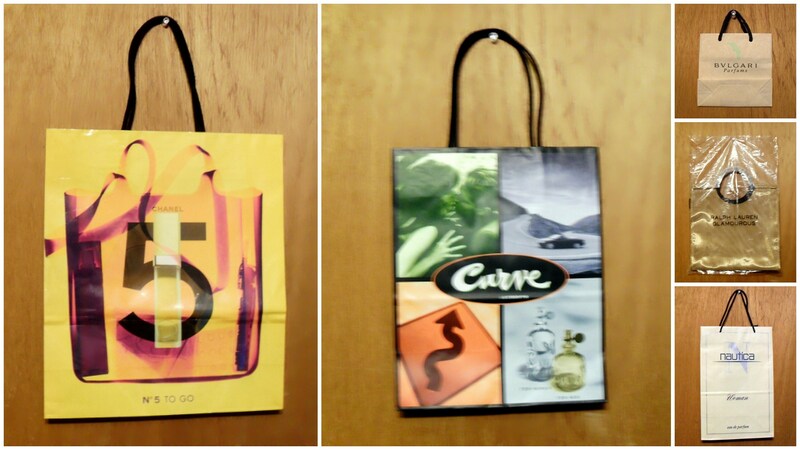 The size of the bag is approximately 4" long x approximately 4" wide, not including handles. 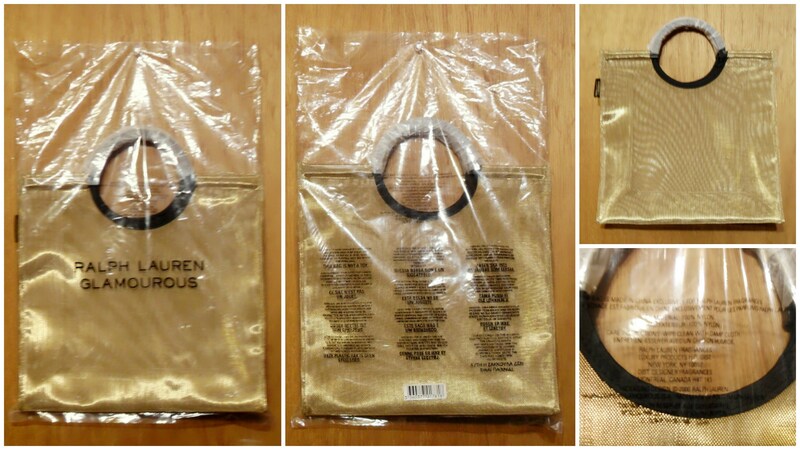 -----Glamourous by Ralph Lauren mesh fabric bag. The size of the bag is approximately 9.5" long x approximately 9.5" wide, not including handles.